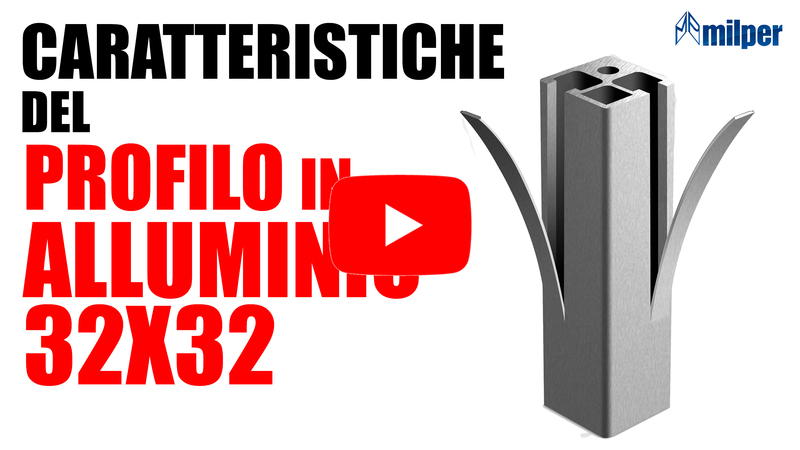 FIND OUT HOW TO USE THE ALUMINUM STRUCTURAL PROFILE! 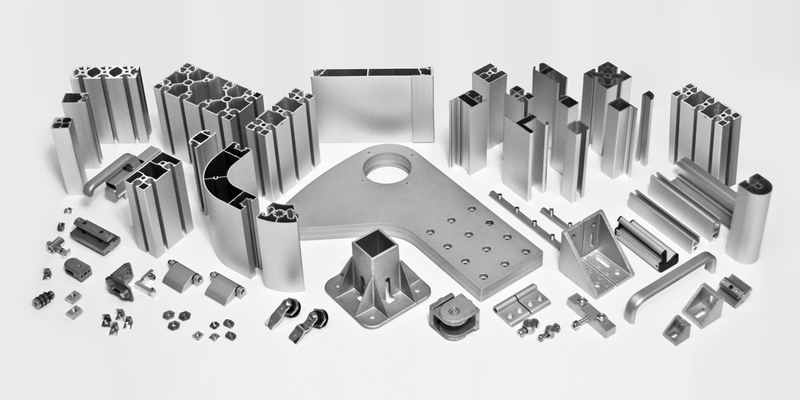 The sale of the Milper System is one of our strengths: a wide range of aluminum structural and tubular profiles (more than 150 profiles) and related accessories (more than 1500 items) are always available in stock. 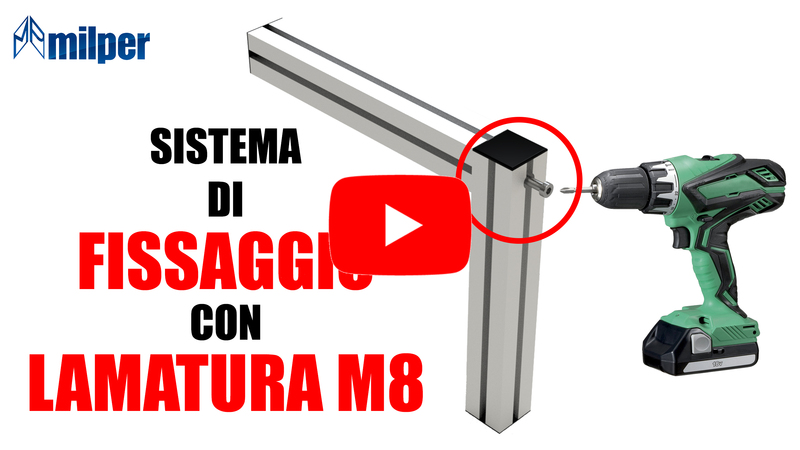 All profiles and accessories are made according to a 100% made in Italy production process, using high quality anodized aluminum (6060 T6 primary alloy). Click and discover the right covers for you! 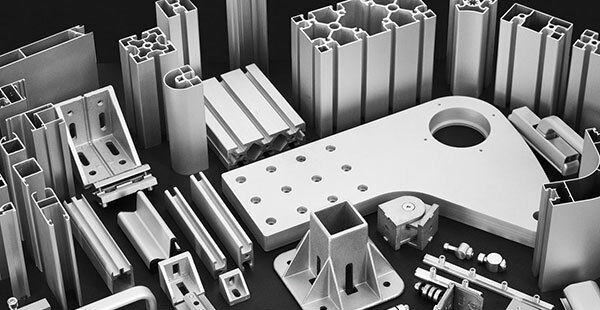 The quality of surface treatment of anodizing, galvanizing and painting is a fundamental requirement for the aethetic value of our Milper System. 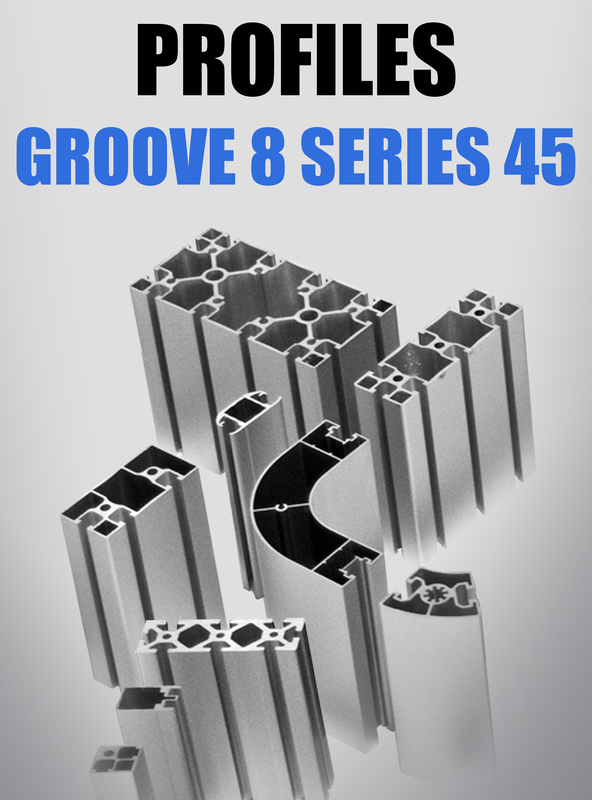 Our range of aluminum structural and tubolar profiles includes groove 6 and groove 8 series, completed by all the accessories, such as fixing systems, supports, handles, hinges and locks. 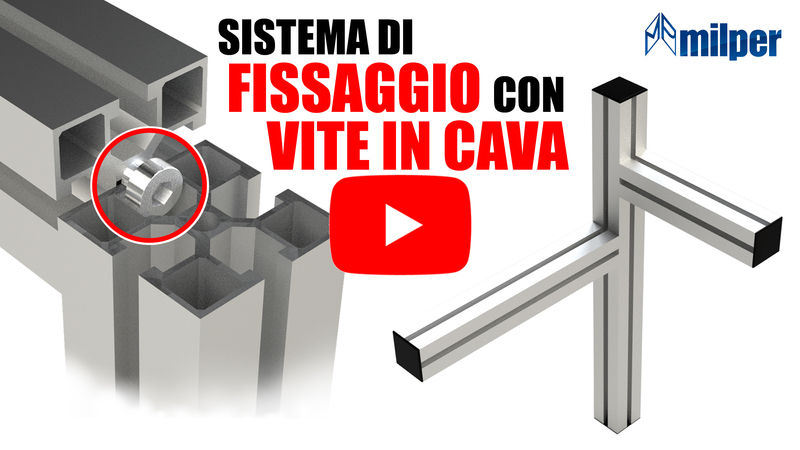 The Milper System is also integrated by special items and profiles, developed as a result of special customers requests, which meet the specific needs of the various sectors. 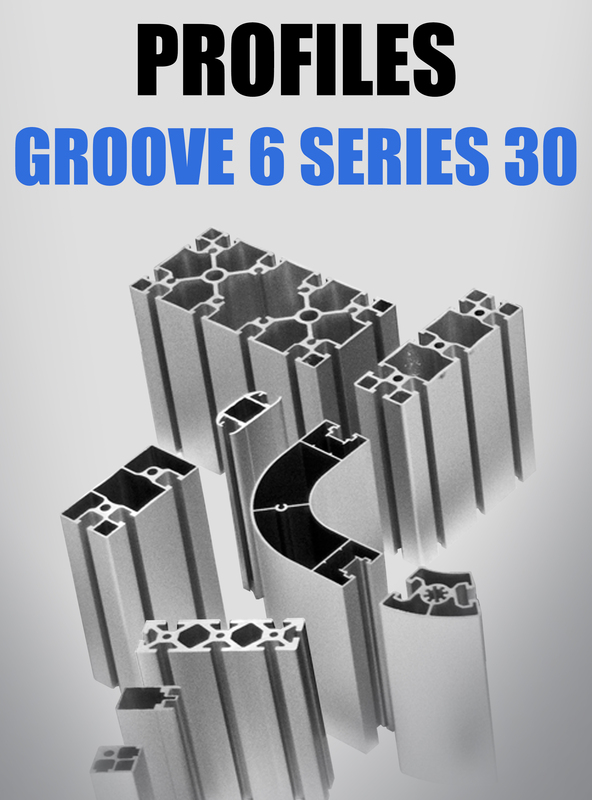 The use of grooves on the aluminium profiles allows the realization of various types of structures, working according to a modular, adaptable and repositionable system. Thanks to our technical office we are able to offer a service of consultancy and assistance to our customer in the choice of the most suitable items for their needs. 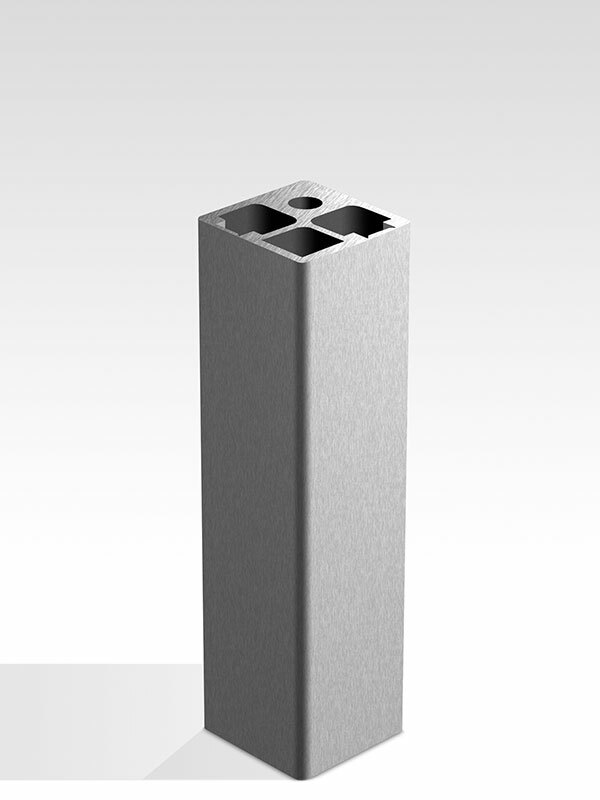 The Milper System consists of more than 150 structural and tubular profiles in anodized aluminum, 6060 T6 primary alloy, and related accessories. 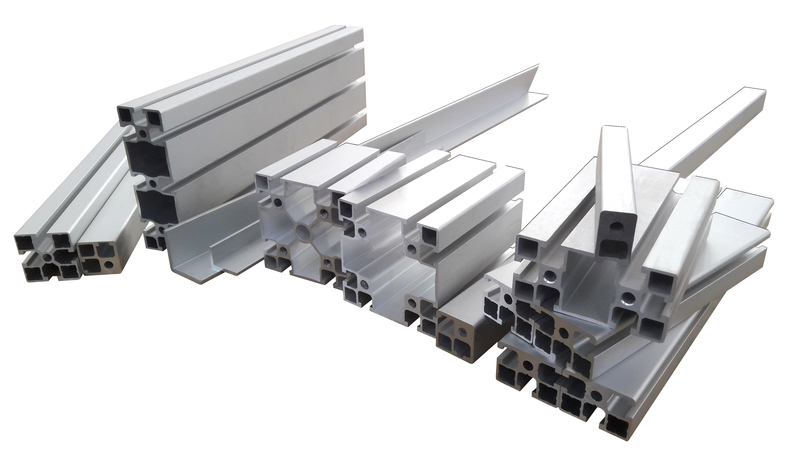 Our range of structural and tubular aluminum profiles includes the 6 and 8 slot series, complete with all accessories consisting of fixings, supports, handles, hinges and locks. 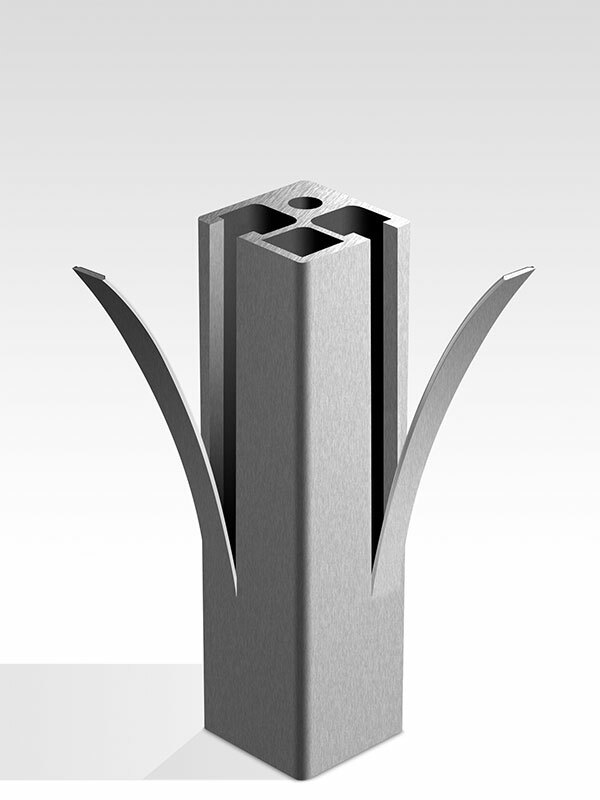 The Milper System is also integrated with special items and profiles, developed following specific requests from customers, who meet the specific needs of the various sectors. Structural profile in aluminum with the sides completely closed, suitable for environments that have strict hygienic conditions to be respected. 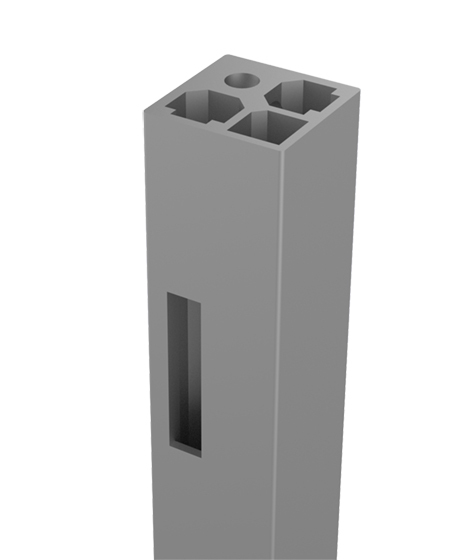 This type of profile has two grooves closed by removable tabs, allowing the insertion of curtain walls or accessories, where necessary. This patented system avoids any space between net and profile, preventing the accumulation of dust, dirt and other external agents. The cleaning of the structure and its maintenance are much easier. This system can be applied in environments with high hygienic standards, for example in the food or pharmaceutical industries. 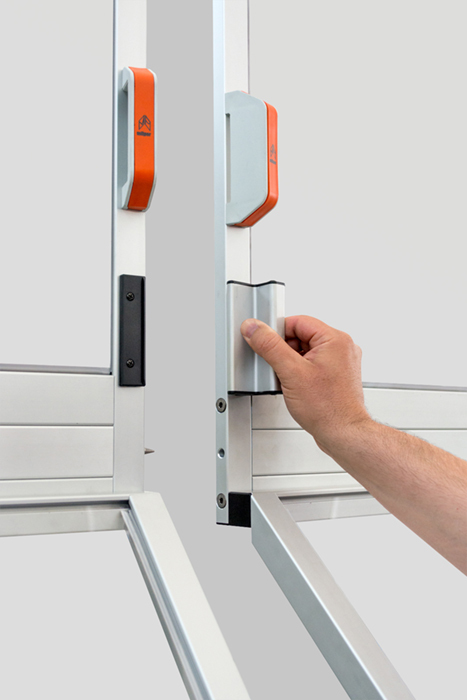 This system allows the stable closing of two doors, without intermediate supports. 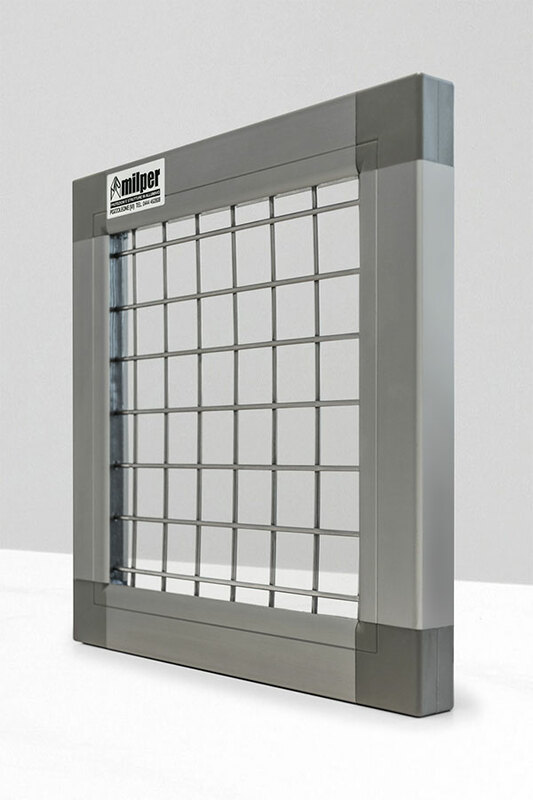 In a single action it is possible the complete opening of the protection and the immediate access to the machinery. 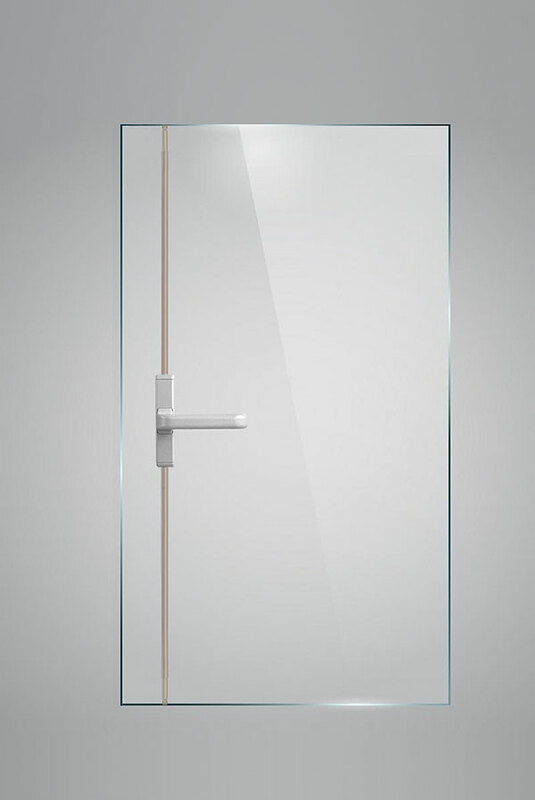 The Cremonese type of handle applied directly on the polycarbonate allows an extremely stable closure, innovative in design, without the need for other locking systems. 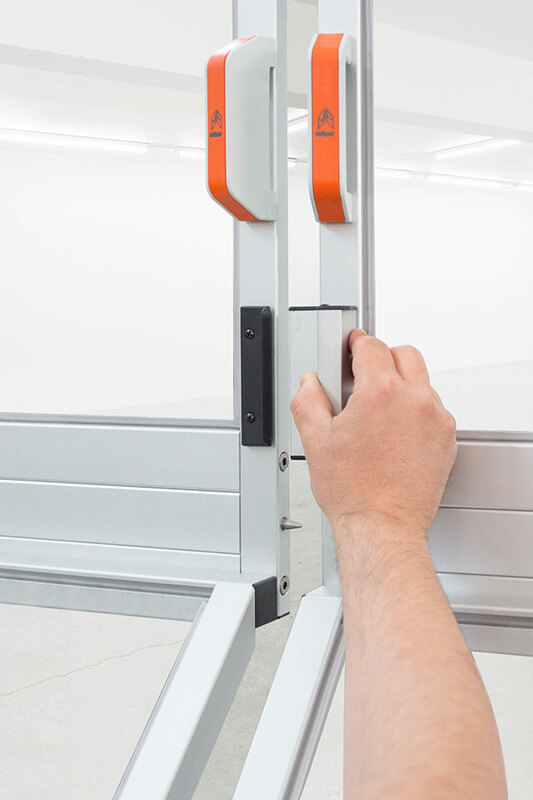 The method was designed to optimize the opening phase of the polycarbonate doors with two magnets, in order to eliminate the oscillation effect. 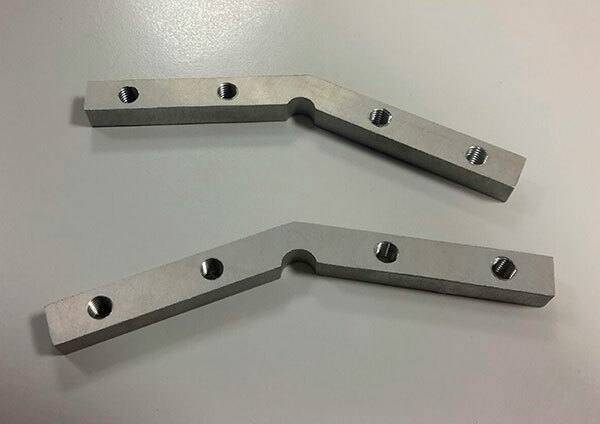 In addition to the direct sale of profiles and accessories, we are also able to satisfy any customer request, in terms of processing and special treatments. In this case, in fact, the customer asked us for some profiles painted according to a specific colour and we, together with our trusted painter, fully met his needs. 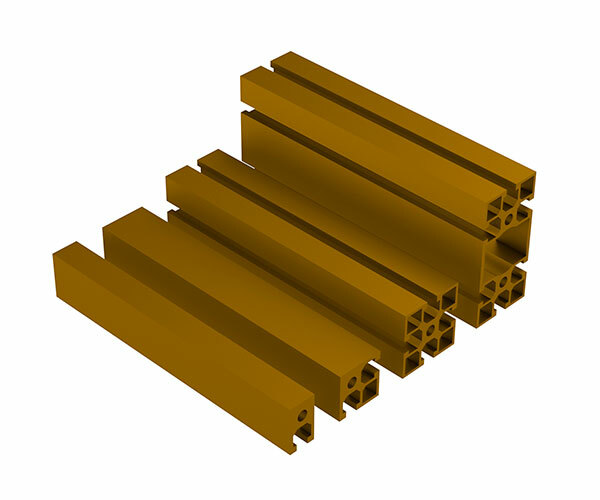 Usually,​ the customers who purchase the System from us, require the anodized profile rods, with a standard length of 6000 mm or cut to size. But if the customer, as in this case, needs painted profiles to maintain an higher level of design or to realize particular structures, in Milper we are able to satisfy him. 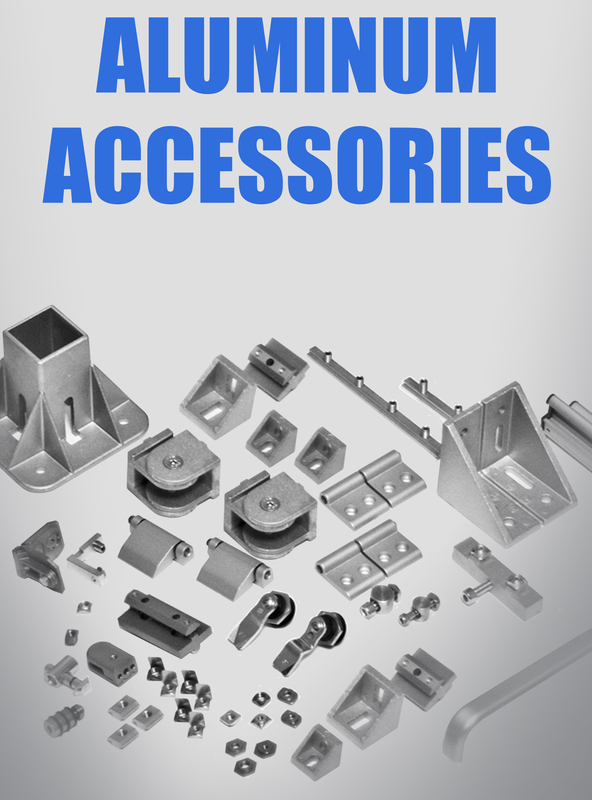 The accessories we have are both standard and special to meet all​ needs. Thanks to our water-cutting machine we can realize joints for customized safety guards. The joint in the picture is made of aluminium and being made to adapt perfectly to the structure on which it’s assembled, it guarantees greater stability and resistance. To stay up to date on all our news and to find the best solutions for your business.